We do it ALL... We Do it Well. If it's Roofing, we've got you Covered. 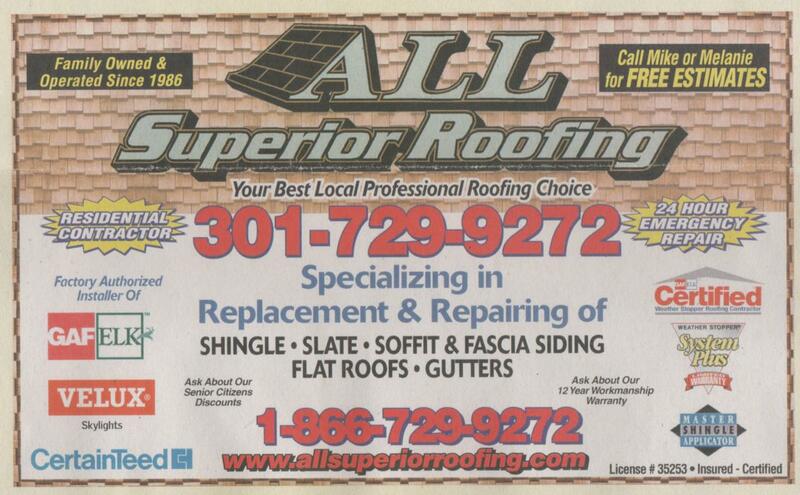 All Superior Roofing is an established business with 18 years experience in Maryland. Mike Sainz, owner/operator, is qualified as a GAF Master Elite Contractor, able to offer the best guarantees on the market today. Now located in LaVale, All Superior Roofing is locally owned and operated.